...we have installed some of the largest, most service critical SCS' in the UK. 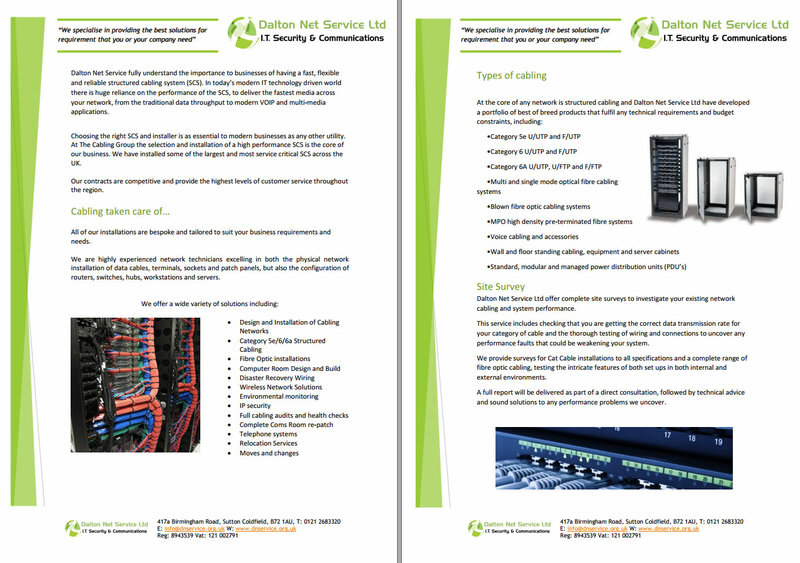 Dalton Net Service fully understand the importance to businesses of having a fast, flexible and reliable structured cabling system (SCS). 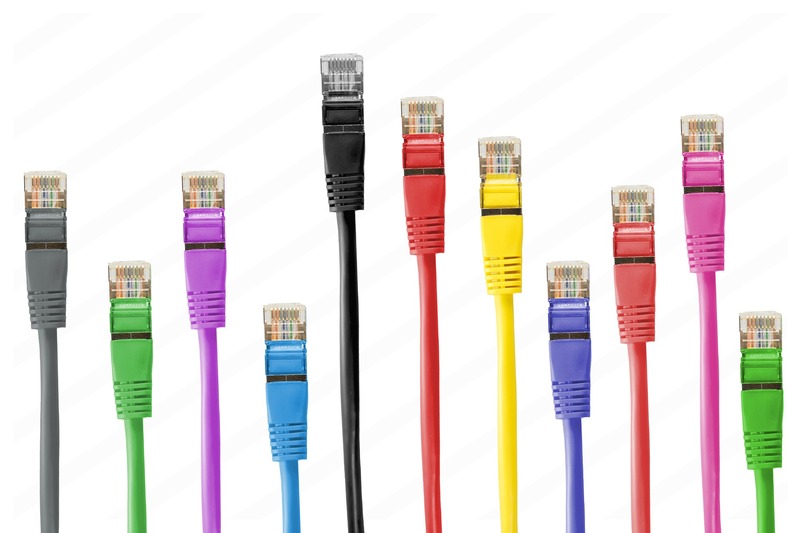 In today’s modern IT technology driven world there is huge reliance on the performance of the Structured Cabling to deliver the fastest media across your network, from the traditional data throughput to modern VOIP and multi-media applications. 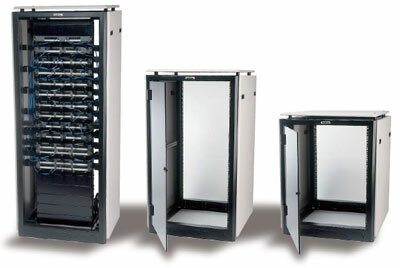 Choosing the right Structured Cabling System and installer is as essential to modern businesses as any other utility. At Dalton Net Service Ltd the selection and installation of a high performance Structured Cabling System is the core of our business. We have installed some of the largest and most service critical Structured Cabling Systems across the UK. Our contracts are competitive and provide the highest levels of customer service throughout the region. All of our installations are bespoke and tailored to suit your business requirements and needs. We are highly experienced network technicians excelling in both the physical network installation of data cables, terminals, sockets and patch panels, but also the configuration of routers, switches, hubs, workstations and servers. At the core of any network is structured cabling and Dalton Net Service Ltd have developed a portfolio of best of breed products that fulfil any technical requirements and budget constraints. Dalton Net Service Ltd offer complete site surveys to investigate your existing network cabling and system performance. This service includes checking that you are getting the correct data transmission rate for your category of cable and the thorough testing of wiring and connections to uncover any performance faults that could be weakening your system. We provide surveys for Cat Cable installations to all specifications and a complete range of fibre optic cabling, testing the intricate features of both set ups in both internal and external environments. A full report will be delivered as part of a direct consultation, followed by technical advice and sound solutions to any performance problems we uncover. Dalton Net Service Ltd provide complete maintenance services for structured cabling installations, enabling you to have confidence in the smooth operation of your network. Our efficient 48 hour call out response will guarantee a quick solution to any faults or queries that may emerge with your set up. By purchasing our extended Maintenance Support Package, you will receive quarterly checks of your Cat Cable or Fibre Optic System with full analysis of performance, security and reliability. Other features of this popular service include preventative maintenance work to fix old or potentially faulty cables before they can disrupt your set up and the replacement of parts weakened by wear and tear or extreme weather. Dalton Net Service Warranty provides a 25-year product assurance of compliance with the industry performance standard appropriate to the class of cabling installed. The Dalton Net Service Warranty is only available when the said system is designed, supplied and installed by Dalton Net Service Engineers. This is a fibre and copper link performance warranty, covering patch panel to outlet and/or patch panel to patch panel links. This means that if a component in any link fails, or the structured cabling fails to support an application that it has been tested to carry (such as Gigabit Ethernet), then a claim can be made on the warranty, not including after installation / testing damages by third parties. All links must be installed and tested to industry guidelines to qualify for the warranty.